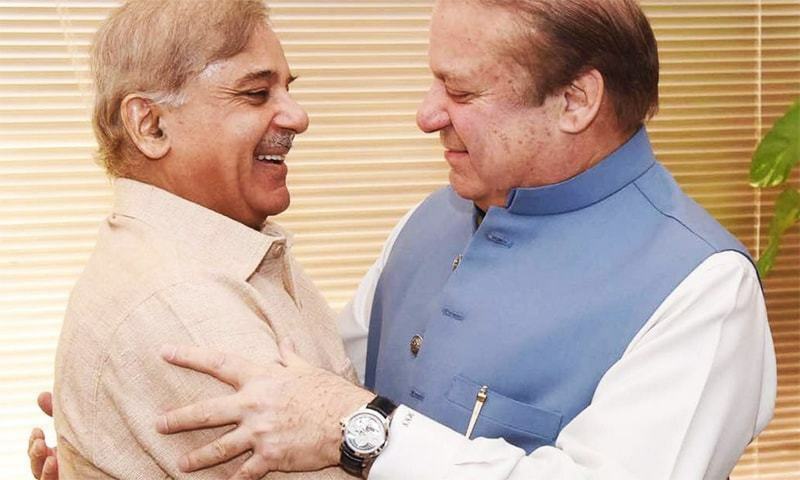 The PML-N declares victory as the Supreme Court announces a split verdict in the Panamagate case that called for the disqualification of Prime Minister Nawaz Sharif. Two judges of the five-member apex bench, Justice Asif Saeed Khosa and Justice Gulzar Ahmed, rule against PM Nawaz Sharif, saying he should be disqualified as he can not be considered 'honest' and 'truthful'. Three judges of the bench stop short of disqualification, however, instead ordering the prime minister and his children to face further investigation by a specially constituted six-man joint investigation team (JIT). 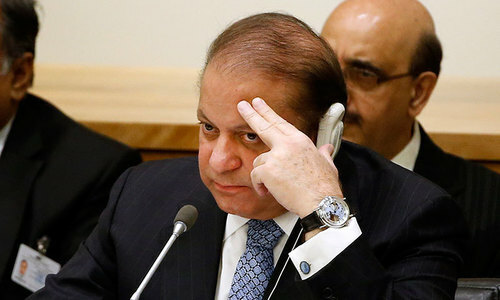 Representatives from the Federal Investigation Agency (FIA), National Accountability Bureau (NAB), Securities and Exchange Commission of Pakistan (SECP), State Bank of Pakistan (SBP), Inter-Services Intelligence (ISI) and Military Intelligence (MI) are empowered to question the prime minister and his family members. The JIT, in essence, is to act on the directions of the Supreme Court and all executive authorities throughout Pakistan are supposed to act in its aid. As political parties give diverse reactions to the Panamagate verdict, the six departments tasked with deputing a representative each to the JIT submit lists of proposed names to the SC. The court had directed the departments concerned to furnish three names each, from which one each would be picked by the Supreme Court to form a six-man JIT. SC announces a three-judge bench to implement its judgement in the Panama Papers case. The bench consists of the same judges who handed down the majority verdict in the Panama Papers case: Justice Ejaz Afzal Khan, Justice Sheikh Azmat Saeed and Justice Ijaz-ul-Ahsan. The special implementation bench of the SC expresses dissatisfaction with the representatives suggested by SBP and SECP. “We expect people with integrity,” rebukes Justice Ejaz Afzal Khan. 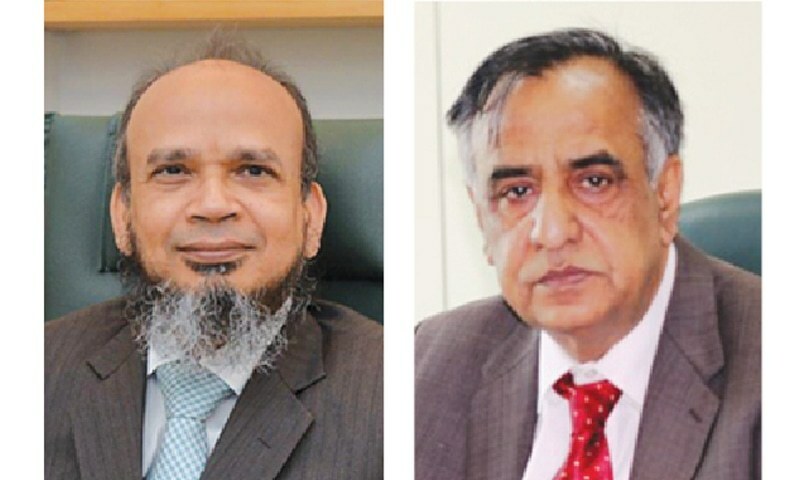 SC asks acting SBP Governor Riaz Riazuddin and SECP chairman Mohammad Zafar Hijazi to appear before it on May 5 with a complete list of officers in grade 18 or above in their respective departments. The apex court formally constitutes the JIT and appoints FIA’s Additional Director General Wajid Zia, a grade 21 officer, as head of the probe team. 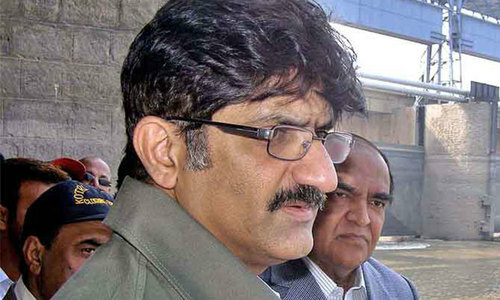 The JIT consists of Amer Aziz of the State Bank of Pakistan, Executive Director of the Securities and Exchange Commission of Pakistan Bilal Rasool, National Accountability Bureau Director Irfan Naeem Mangi, Brig Muha­mmad Nauman Saeed of the Inter-Services Intelligence and Brig Kamran Khurshid of the Military Intelligence. The JIT visits the Federal Judicial Academy — the premises selected by the apex court for the team — for an orientation. The members examine security arrangements as well as the facilities being provided to the team under the May 4 Supreme Court order. The Pakistan Tehreek-i-Insaf demands that the inquiry into the assets of the Sharif family not be held in camera. The JIT presents its first bi-weekly report to the SC in two volumes, informing the court that it had written to Qatar through diplomatic channels to ask Hamad bin Jassim bin Jaber Al-Thani when he would be available to record his statement. The JIT sends questionnaires to Prime Minister Sharif and his two sons ─ Hussain and Hassan Nawaz ─ who start consulting lawyers in connection with the ongoing investigation. 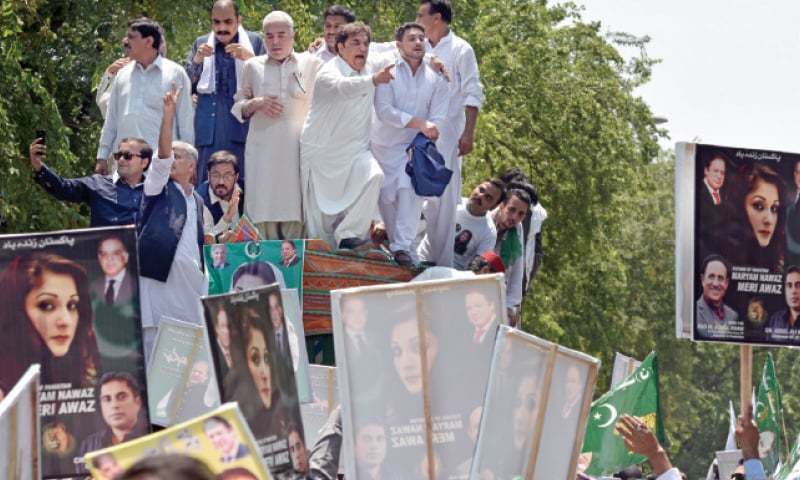 The PM’s elder son, Hussain, has objections to the presence of two JIT members — SECP's Bilal Rasool and SBP's Amer Aziz — accusing them of being close to the PML-N’s political rivals. After consulting a legal team, he files a petition before the apex court challenging their presence in the JIT. Hussain Nawaz appears before the JIT and is questioned for two-and-a-half hours at the Federal Judicial Academy ─ the JIT's headquarters. Hussain claims that the JIT did not provide him any questionnaire or give him a list of documents to produce. SC turns down Hussain's objections to the inclusion of the two JIT members. “We are not going to remove any JIT member on mere conjecture unless something concrete comes up ,because the prime minister is the one being investigated,” Justice Ejaz Afzal Khan says during a hearing. JIT head Wajid Zia informs the SC that the JIT has summoned former Qatari prime minister Hamad bin Jassim bin Jaber Al Thani, but he has not responded to the summons. The JIT questions Hussain Nawaz for a second time after making him wait for two hours. Speaking to reporters after his appearance at the FJA, Hussain claims that him and his family, including his father, are innocent. The prime minister's younger son, Hassan Nawaz, arrives at the FJA with three volumes of documents to support his family’s claims in the Panama Papers investigation. He is grilled by the JIT for seven hours. The session focuses on details of the businesses and transactions Hassan used to establish companies in the United Kingdom. After attending a four-hour session in the JIT secretariat, Hussain again claims before media persons that the investigation team will not find an iota of evidence against him or any of his family members. He assures that the Sharif family had faced ‘political cases’ in the past but remained victorious in the end. A photograph of the prime minister’s son sitting by in a plain room on the premises of the FJA, ostensibly facing his questioners, is leaked on social media. 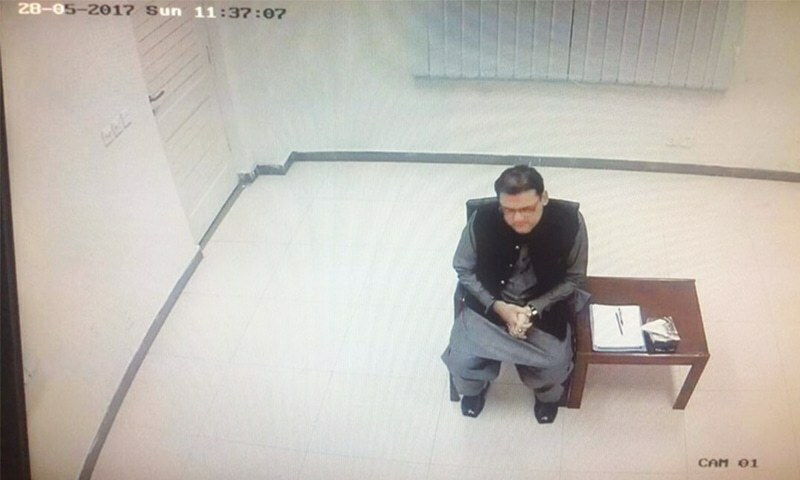 PML-N and the Pakistan Tehreek-i-Insaf (PTI) accuse each other of leaking the photograph, which appears to be a screen grab from a CCTV feed and bears the date of Hussain’s first appearance before the JIT. The SECP submits a record of the Hudaibiya Paper Mills Case to the JIT. The paper mills case looks at money laundering allegations against the prime minister’s family, and the records handed over to the JIT include a confessional statement recorded by Finance Minister Ishaq Dar in 2000, in which he had ‘confessed’ to laundering Rs1.2 billion and opening fake bank accounts at the behest of the Sharif family. 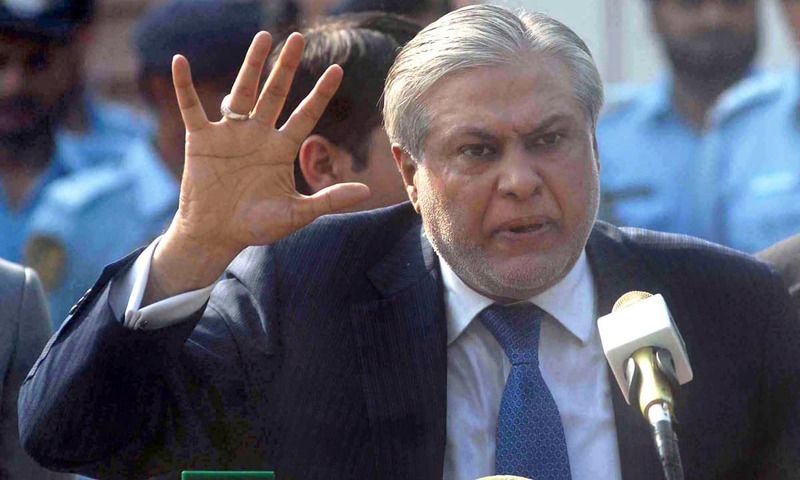 Dar had later retracted the statement claiming that it had been extracted under duress. The JIT also examines a written statement from Qatar’s former prime minister, Hamad bin Jassim bin Jaber al-Thani, which he had sent in response to a letter from the JIT sent to him earlier this month. The JIT tells the SC it is facing a number of impediments and problems in its probe without explaining the nature of the obstructions. The apex bench asks Zia, head of the JIT, to submit an application to the court in this regard. Prime Minis­ter’s Special Assistant Asif Kirmani accuses the JIT of sensationalising the Panama Papers investigation. 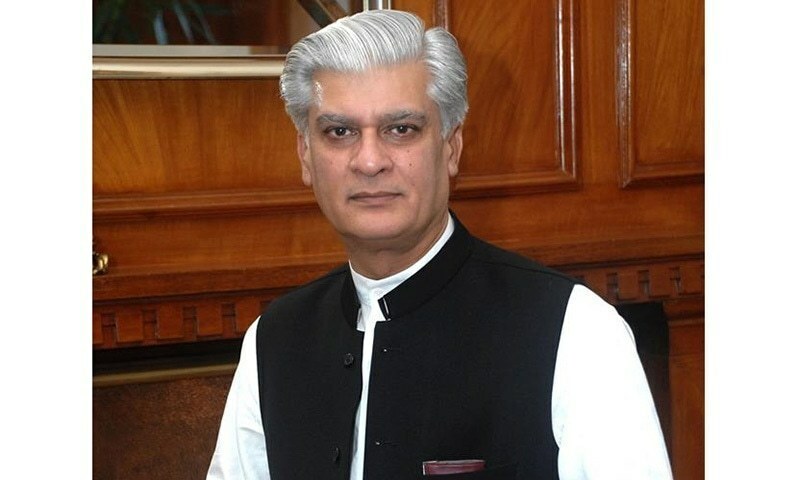 “Our hands are clean, we respect the institutions and we also want them to reciprocate," Kirmani, accompanying Hassan Nawaz for his second appearance before the JIT, tells reporters. The JIT tells the SC that certain government institutions are obstructing the team’s access to relevant records as well as forging and tampering with documents. JIT also tells the SC that Hussain Nawaz’s June 7 request for a judicial inquiry into the leak of his photograph on social media is “entirely unwarranted” and should be dismissed. In a report, leaked to the media, the JIT blames a number of government institutions for “creating impediments in the collection of evidence”. It alleges that the SECP, NAB, FBR and IB are creating obstructions in handing over records, and are guilty of forgery and tampering with relevant documents. The report states that, during interrogation of witnesses from the SECP, it emerged that its chairman, Zafarul Haq Hijazi, was allegedly instrumental in closing the investigation of a money-laundering case launched into Chaudhry Sugar Mills Ltd. 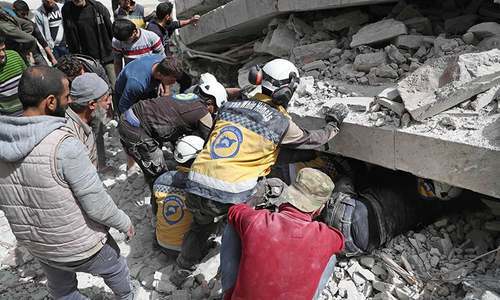 The investigation commenced in 2011, but was closed retroactively in 2016 with effect from Jan 8, 2013 ─ a criminal act, the report states, aimed at facilitating those who are being investigated. The report also alleges that the SECP chairman’s orders to tamper with the record and close the money-laundering investigation retroactively was executed by SECP Executive Director Ali Azeem Ikram, whose name was proposed for the JIT by the SECP chairman, "clearly to subvert the ongoing investigation". The report also accuses the IB of hacking a Facebook account belonging to JIT member Bilal Rasool, which was also in use by his wife/family, to retrieve the contents attached by Hussain Nawaz in his complaint before the Supreme Court. Further, the JIT's report accuses NAB of employing underhanded tactics to pressure its representative, Irfan Naeem Mangi, who was issued a show cause notice by his department merely for the sake of coercing him. The report also alleges intentional concealment, delay and tampering with official documents on the part of the law ministry and claims the FBR submitted piecemeal, incomplete and selective records of the income and wealth tax returns of the Sharif family from 1985 to date. Prime Minister Sharif appears before the JIT for questioning, becoming the first sitting prime minister to appear before any investigating agency. He is questioned for three hours. “The process of my accountability stretches from before my birth and extends to my future generations. Has any other family in the country faced such ruthless accountability?” PM Sharif asks, speaking to reporters after the much-anticipated appearance. Prime Minister's House accuses the JIT of phone tapping and monitoring of witnesses — a violation of the law and the Constitution. "The reliance and reference to ‘technical analysis’ is indeed an admission by JIT of phone tapping and monitoring of witnesses, a violation of the law and the Constitution,” the PM House says in its rejoinder to a JIT application in which it had accused some government institutions of creating impediments in its work and tampering with relevant documents. 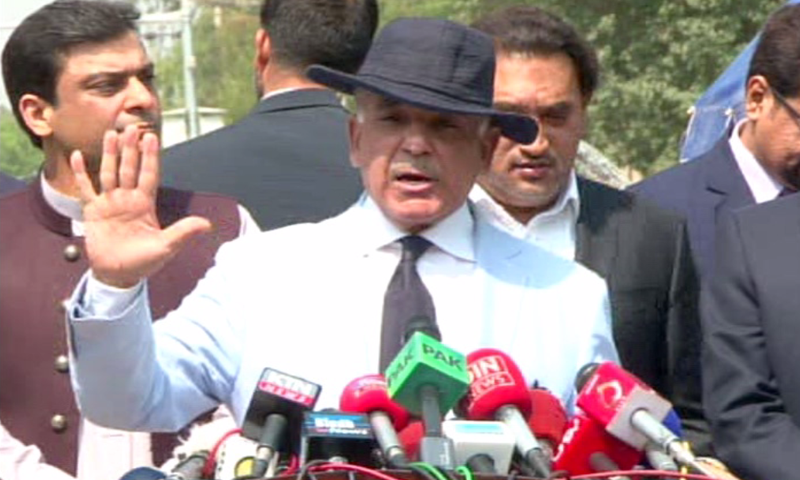 The PM's younger brother and Chief Minister of Punjab Shahbaz Sharif is questioned by the JIT for four hours. “Day before yesterday was a unique one in the 70-year history of Pakistan — an elected prime minister appeared before a JIT. Today, as a servant of Punjab, I also appeared before the investigation team,” he said, as he spoke to the media after the proceedings. The SC calls into question the alleged surveillance of JIT members by the IB. The apex bench criticises the agency’s role in hacking the Facebook account of a JIT member, loitering around his residence and accessing the National Database and Registration Authority (Nadra) system to collect his personal data — saying they were acting like private investigators instead of working for the state of Pakistan. The bench also asks the FIA to investigate the role of SECP chairman Zafar Hijazi into his alleged tampering with the record of the Chaudhry Sugar Mills Ltd and asks the agency to submit a comprehensive report. Hussain Nawaz’s plea to stop the video recording of interrogations held by the JIT is rejected by the SC. “The concern voiced by the applicant (Hussain) being paranoiac appear[s] to be more of form rather than substance," the court remarks. The SC also asks Attorney General Ashtar Ausuf to submit a concise reply in reference to the allegations against the IB. A four-member probe team, headed by FIA Anti-Corruption Wing Director Maqsoodul Hassan, begins its investigation into the SECP in regard to the JIT's allegations. The FIA team, which includes deputy directors Hazrat Ali, Ayaz Khan and Tahir Tanveer, obtain a separate office on the SECP premises and issue their first directive to the law department, asking their staff to be present during the upcoming Eid holidays. Retired Lt Gen Mohammad Amjad, who was appointed the first chairman of NAB between 1999 and 2000 by former president retired Gen Pervez Musharraf, testifies before the JIT. 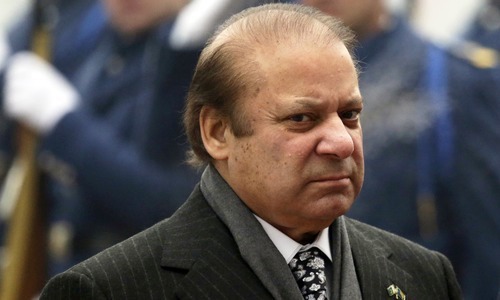 The former chief shares details of the Hudaibya Paper Mills, Ittefaq Foundries and Raiwind assets references, prepared by NAB against PML-N chief Nawaz Sharif and other members of his family. Chairman Zafar Hijazi asserts that money laundering did not come under the purview of his organisation and that he was not to be held responsible for the tampering of records by a subordinate officer — as alleged by the JIT. The four-member FIA teams wraps up its probe against the SECP. After quizzing several SECP executives and holding meetings with the commission’s senior management, the FIA team spends time with the IT department of the corporate regulator. Rumours that certain hardware, including the laptop issued to SECP Chairman Zafar Hijazi, have been confiscated are denied by a senior SECP official. 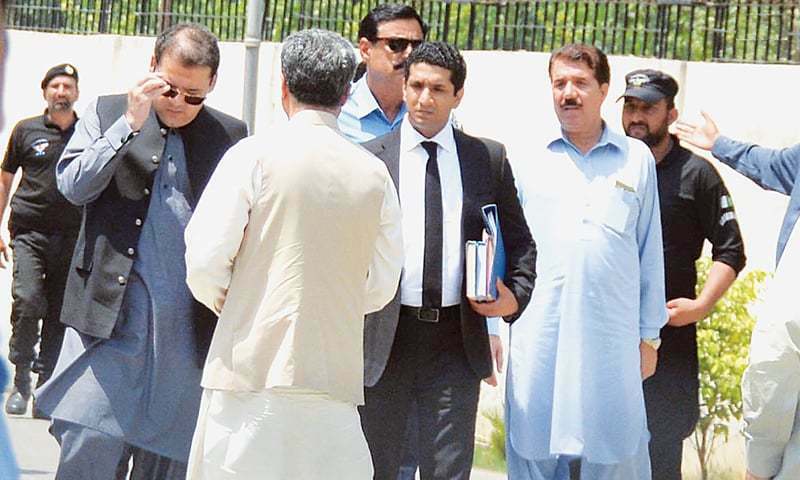 As the probe into allegations against the Sharif family enters its last week, the PM's younger son, Hassan, and Finance Minsiter Ishaq Dar, who is also the father-in-law of Prime Minister Nawaz Sharif’s younger daughter, appear before the JIT for questioning. Dar disowns the confessional statement he signed in 2000 linking the Sharif family with money laundering in the Hudaibya Paper Mills case. Speaking to reporters after his third appearance at the FJA, Hassan says he had been kept waiting for hours and then questioned for a long time. “I provided them with each and every detail of my business, including loan agreements with different banks,” he says. 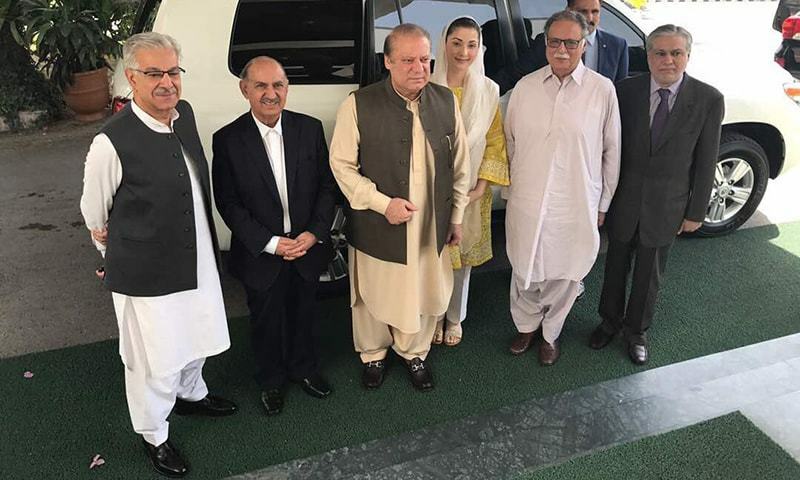 Maryam Nawaz arrives at the FJA with her brothers, her husband, retired Captain Mohammad Safdar, son-in-law Raheel Munir and State Minister for Information Marriyum Aurangzeb. 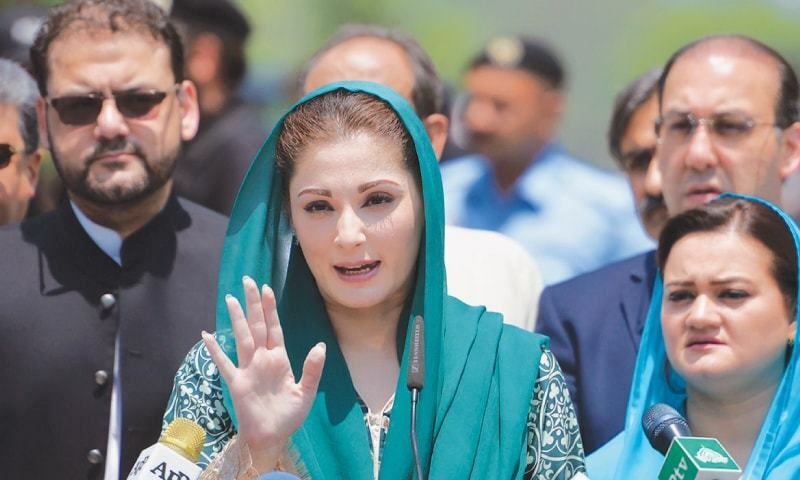 After being questioned for a couple of hours, Maryam declares her father, Nawaz Sharif, was the only politician who could stand for civilian supremacy and the rule of law in the country. “If someone thinks we had no option but to face the JIT, I must tell you that we could have taken refuge behind immunity and legal exemptions," she tells the media. Her parting shot leaves many wondering whether this was Pakistan’s first glimpse of a new face on the political scene: “I will prove myself to be my father’s strength, not his weakness,” she says. 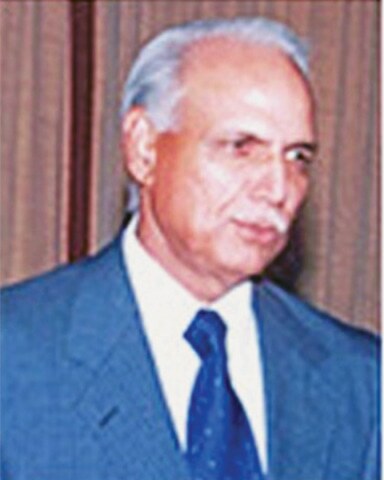 NAB chairman Qamar Zaman Chaudhry also appears before the JIT on the same day and is questioned in connection with the closure of the Hudaibya Paper Mills case file, since it was during his tenure that the bureau’s prosecutor general had opined against appealing the Lahore High Court order directing NAB to quash the reference. Former Qatari premier Sheikh Hamad bin Jassim bin Jaber Al-Thani sends a letter to the JIT asking the body to record his statement at his palace before submitting its final report to the SC. The Qatari prince had previously submitted two letters to the apex court regarding the settlement of London properties with the Sharif family during proceedings in the Panamagate case. Ascertaining the authenticity of the Qatari prince’s letters was one of the tasks the apex court had directed the JIT to accomplish. 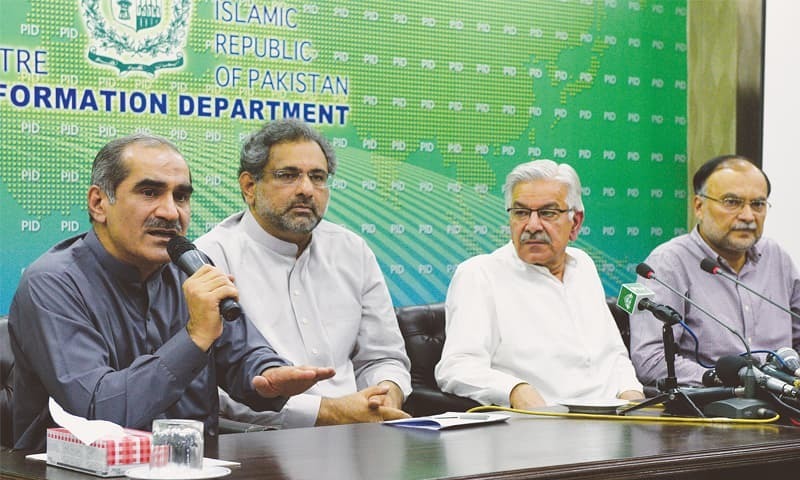 At a hurriedly called press conference held after a high-level consultative meeting at PM House, the ruling party declares that it will not accept the report if investigators do not record the statement of the Qatari former prime minister. The party also asks the JIT to make its proceedings public by releasing the complete audio and video record of its interrogations. After a two-month long probe into allegations against the Sharif family, the JIT submits its final report to the SC. 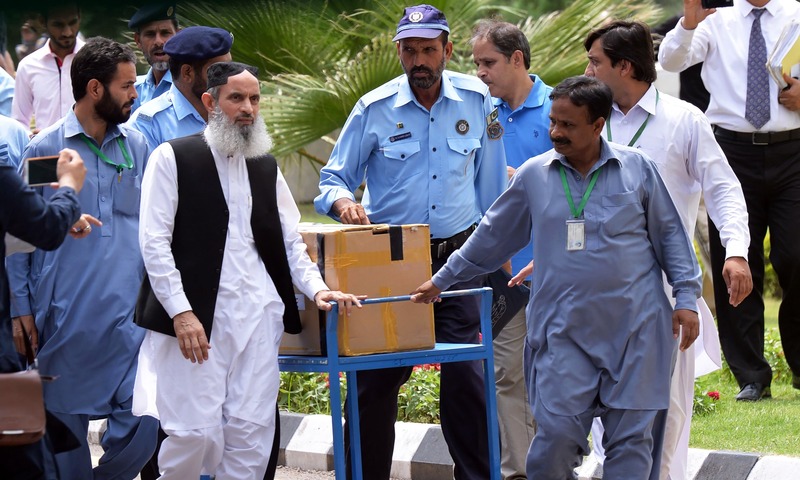 Large cardboard boxes labelled 'Evidence' are carted into the SC as the JIT members, arriving at the SC amid heavy security, make their way into court. The SC also asks for transcripts of all speeches made in the last 60 days by PML-N's Talal Chaudhry, Railways Minister Saad Rafique, and the PM's Special Assistant on Political Affairs Asif Kirmani, presumably to examine them for contemptuous content. The apex court further orders the registration of a criminal case against the SECP chairman in order to find out who was behind tampering the records of businesses owned by the Sharif family. The bench also orders that the name and institution of the individual responsible for leaking a photo of Hussain Nawaz sitting before the JIT should be made public. "SC announces verdict in Panamagate case, directs formation of JIT" Wrong ab initio. SC did not announce verdict. The verdict is yet to come. It announced an order to form JIT so that SC could announce a verdict based on JIT report.